Hi everyone! My name is Dexter. And do you know what that means in Greek? Skilled–and boy am I ever! 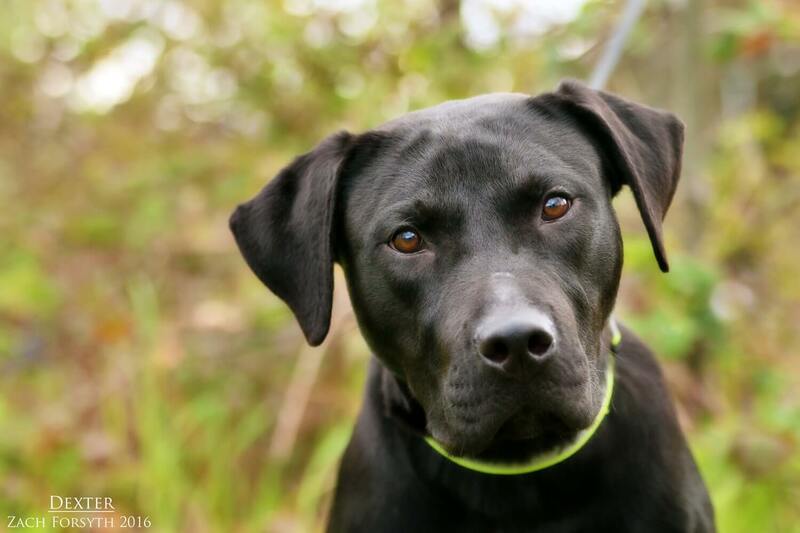 I am a handsome 1 year old lab/pit mix and you can tell right away I have spent time with a trainer. I am eager to please and I am always watching you to make sure I’m being a good boy! I love spending time with other dogs in play group and sometimes even curl up next to my buddies after a long day of playing! I am a bit bouncy, so I would best in a home without cats or kids. I’m always looking to learn new tricks and practice some old ones, followed by some play and then cuddle time. If that sounds like your ideal day too, then fill out an application today so we can schedule a meet! I come to you neutered, vaccinated, and micro-chipped with an adoption fee of $250.